Do Polish need Visa to Russia? Yes, they do. In order to have a Russian visa a Polish citizen must obtain an invitation and present it when applying for a visa at a consulate or an embassy of the Russian Federation. Another important condition will be filling in of a special application and payment of a consular fee. Only the inviting party can issue such an invitation to come to Russia: a relative, a tourist company, a business partner, etc. The outward appearance of the invitation would differ depending on who is the inviting party. How to Get Russian Visa from Poland? Where to apply for a Russian visa in Poland? You can obtain a visa to Russia in any of the Consulates of the Russian Federation located in Poland. See the list of Russian Consulates in Poland, along with their phone numbers and location indicated on this page below. A tourist visa can be obtained by those citizens of Poland who want to visit the Russian Federation with a tourist purpose. In this case an invitation for a foreign citizen to obtain a tourist visa is issued by a tourist company. The outward appearance of such invitation is not important (it can be any). The invitation issued by a tourist company must contain all information about the company (a reference number is obligatory), the passport data of a tourist and all cities in Russia he/she intends to visit as well as his/her places of residence during the trip to the Russian Federation. This type of invitation to visit Russia for Polish can be made within 1 working day. Moreover it should be indicated in the invitation from a tourist company when the tourist is planning his/her trip and how long he/she wants to stay in Russia as well as how many entries there will be. Usually a tourist visa to Russia from Poland is obtained for a period of up to 30 calendar days. A tourist visa can be single or double entry. In order to obtain a private visa a citizen of Poland must have a relative or a friend in Russia, who will issue a guest invitation for him/her. Such an invitation is being issued at the Federal Migration Service (the FMS) and then sent to a foreign citizen. If a foreigner is invited by an individual, this individual must apply to a department of the FMS at the place of residence. In case the inviting party is a legal entity it has to apply at the department of the FMS at the place of its registration through a representative. The FMS will check a citizen of Poland on having any criminal records during his/her previous visits to Russia. Thus, he/she will be refused in a visa in case of any previous convictions, unpaid fine or deportation. The reason for such a refusal would be indicated. If everything is fine, a citizen of Poland can obtain a single or a double entry private visa to Russia for a period of up to 90 days. A citizen of Poland who wants to look for new business partners in Russia or to participate in the seminars or auctions, sign agreements or extend them is recommended to apply for a business visa. In order to obtain a business visa an invitation should be presented at a consulate. In this case an invitation is issued by a legal entity which must be accredited at the Department of the Federal Migration Service or the Department of the Consular Service at the Ministry for Foreign Affairs of the RF. A telex invitation doesn’t have any shape. If an inviting party has issued this type of an invitation it gives a foreign citizen a certain number which the latter has to quote when applying for a visa at the embassy. An invitation on the letterhead of an inviting company is a letter in which the company intercedes for a foreigner at the embassy of the RF. The issuing of such an invitation takes only 1 day. If an inviting company has issued its invitation on a special form of the FMS then it means that its representative applied to the authorized body which had a checkup showing that this certain foreign citizen had not had any convictions, unpaid fines or deportations from the country during his/her previous visits to the RF. A business visa can be obtained by the citizens of Poland for a period of up to 5 years. 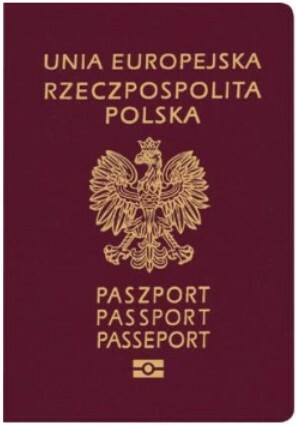 A citizen of Poland can obtain a Russian work visa in order to have a possibility to legally work there only if he/she has an invitation which is issued solely in case a citizen of Poland has received a work permit allowing him/her to work in the RF or has any other documents proving that he/she may put in force the labor activity in Russia (this document can be a card of an employee of a foreign representative office). Usually a company that employs a foreign citizen is engaged in the issuing of the invitation and obtaining of a work visa for him/her. It also should provide that the foreigner is registered at the migration service in a timely manner. Since then the foreign citizen should be registered at the migration service for the full term of the visa validity.